To be honest with you, making a podcast was not at the top of my mind last year. In fact, I only started listening to podcasts because I wanted to block out the monotonous dance music at the gym! That was an effective move, and since then, I have come to enjoy listening to podcasts, but making my own? The thought never crossed my mind. Little did I know that 6 months later, I would create my own podcast, The Indian Startup Show, which regularly makes No1 on The Indian iTunes tech chart. (I’m still not sure how the hell this happened..?) You can’t imagine my surprise at my podcast’s popularity. Looking back on my own podcast journey, however, I can see a few things that can help make a podcast successful. So in this blog post, I will share my personal story and my statistics, two things I always get asked about! You get to build something amazing that’s your own. You have 100% creative control. A company emailed me, saying they wanted me to do a podcast. Having never done a podcast before, I immediately jumped at the chance. I started reading my blog posts, recording them, and sending them to the company to be aired. After 6 episodes, I was beginning to run out of things to read. To solve this problem, I started to reach out to complete strangers on Twitter – scary stuff! Making a podcast turned out to be a lot of fun, and it was a great way of speaking to people I had been following for a long time. Everything was cool, I was learning loads, and all in all, it was a blast. Then I received this email! After getting that email, I decided to produce and market my own podcast. 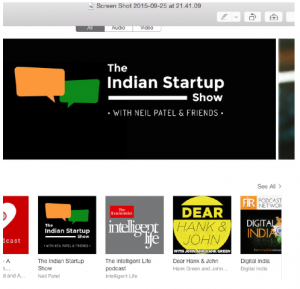 I did some initial research on podcasts, and it seemed to me there were very few podcasts on Indian startups. Thus, The Indian Startup Show was born. My first interview was with Harshdeep Hura, entrepreneur and founder of Wrap it Up, which allows you to turn long paragraphs into short one liners. At 6ft 8, he is still the tallest person I have ever interviewed, and interestingly, he has read Steve Jobs’ autobiography 10 times. It was a great interview, but there was just one problem: I forgot to hit the record button. So we had to do the interview again. After I actually got the recording, I still had to figure out how to edit it and publish the podcast, which is actually a real headache! So I decided to turn to fiverr.com. Fiverr is a global marketplace offering countless tasks and services, and each job for sale starts out at a cost of $5. I used Fiverr to make the podcast sound better and to help with editing, creating artwork, and adding jingles. After 8 episodes, I asked a friend for some feedback late at night. Instead of offering me feedback, however, he told me to switch my iTunes account from UK to India. 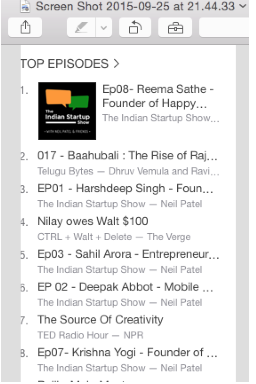 And to my amazement, not only was my podcast featured but it was also No1 on the iTunes tech chart and the episodes made Nos. 1, 3, 5, 6, and 8! 4 of the top 8! After finding out the news , I decided to take podcasting a bit more seriously! If you compare this with Tim Ferriss he has 45 million downloads, the majority of the older episodes get 100,000 a month! Another popular podcast is Serial a series of nonfiction stories. Since Serial was released, As of October 2015, the show has been downloaded over 90 million times. So you can see there’s still room to grow! This is another question I get asked a lot! It’s very difficult to make money. In fact, only a handful of podcasts make money via advertising. Advertisers will offer around $10-$20 per 1000 listeners, so you need 100,000+ listeners to make a decent amount. 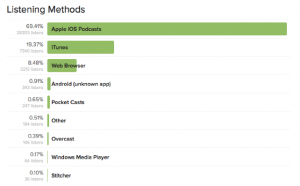 However some podcasters use a subscription based model to address this problem. Howard Stern’s former right hand man started his own podcast, and instead of releasing it for free like most people do, he decided to go down the subscription route, and it’s working out just fine according to this interview on splitsider. For all you lucky people buying new cars, you’ll see that you can now sync your phone with your car. Most new cars now have Internet & bluetooth connectivity, and when you start you car, it will start playing your podcasts instead of some commercial radio station. This is ideal for long journeys and traffic jams! 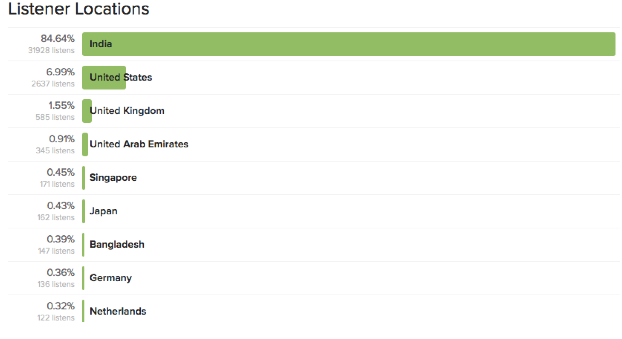 As you can see from the stats above only 1% of listeners are listening via Android. 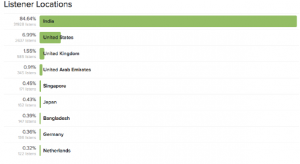 According to a recent report, there are 1 billion Android owners, meaning they make up an as of yet untapped audience. And, unless you live in the U.S., we’re still waiting for Google to add podcast support! iTunes added podcast support in 2005, so if anyone from Mountain View is reading this, please get a your act together! Spotify is going beyond music, and they have introduced podcasts. So next time you use Spotify, you’ll get suggestions for various podcasts in your timeline depending on what time of day it is. 29% of smartphone-owning adults listen to podcasts via their smartphones at least once a month, and that figure reaches 41% among 18-34-year-olds. The survey also indicates 18-34 year-olds are 44% more likely than the average smartphone-owning adult to listen to podcasts on their device at least once a week (26% vs.18%). If you use Netflix or Amazon Prime, then you’re familiar with the concept of curating your own content. Well, content curation also plays a huge part in podcasting. With the technology available today, you can can easily create your own list depending on your mood or what topic you want to learn about, and it doesn’t take much time. It’s ideal for busy people on the go! Periscope, Meerkat & Live shows. Some podcasters are now live streaming their podcasts using Periscope, Meerkat & Blab. These services allow podcasters to get their listening community involved, meaning audience members can more actively participate. These apps are free and easy to get started, and they could be a big part of podcasting in the future. They are certainly great for audience engagement and for building a community. 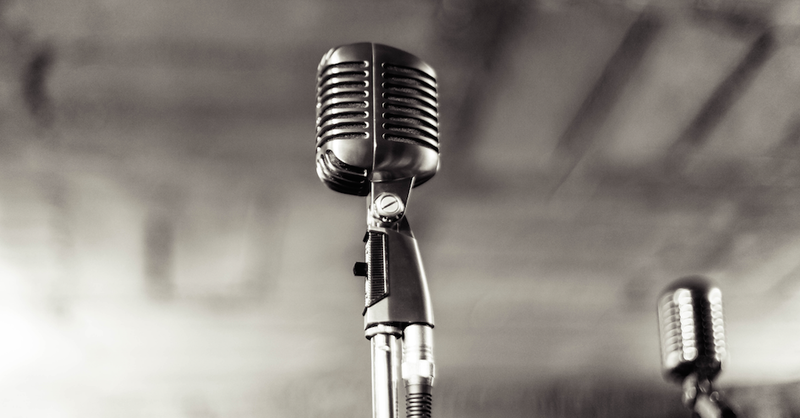 For big brands, podcasts open up new content marketing opportunities, allowing them to connect with their audience on a more intimate level, thereby adding value to a brand. At the moment, very few brands are doing this, but that will change as more brands realize the advantages of getting involved. 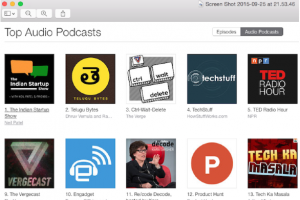 Over the past decade, there has been a steady growth in podcasting. 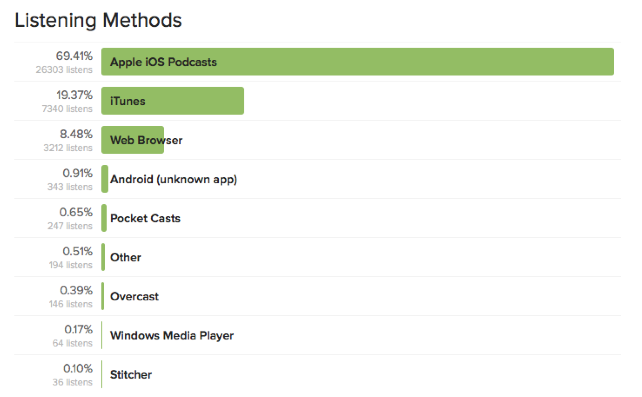 People are more familiar with podcasts more than ever before because of smartphones. Even Barack Obama went on a podcast last year. He appeared on the WTF with Marc Maron podcast. He actually went to Marc’s garage, nicknamed the ‘Cat Ranch’, to do the podcast, which is really amazing! Podcasting is fun and has huge opportunities and potential. It’s a great way to give back something useful to your listeners. You get to speak with and learn from amazing people, from Billionaires to army officers serving in Iraq.